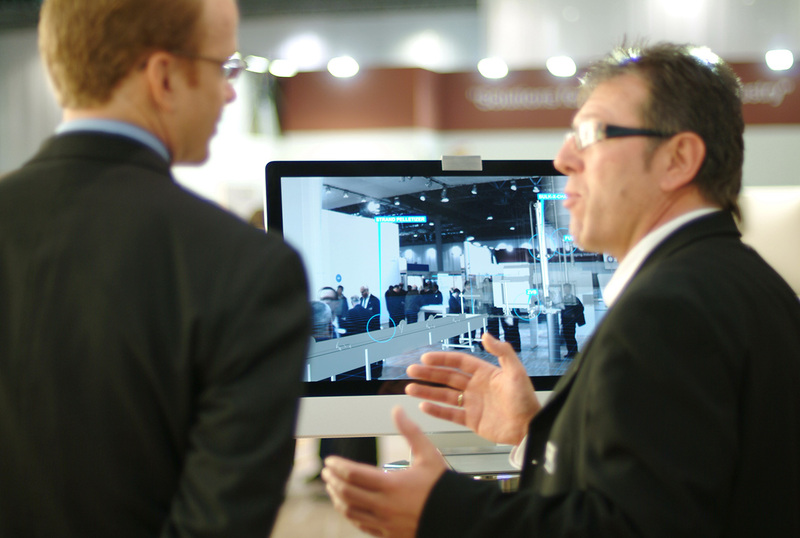 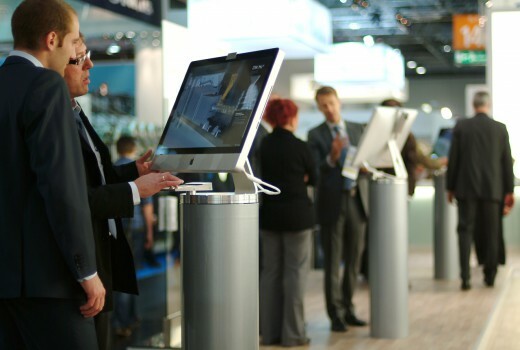 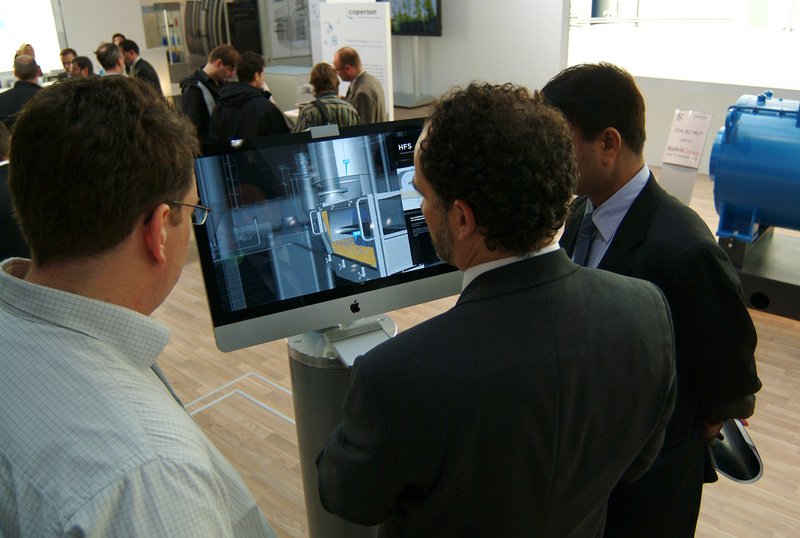 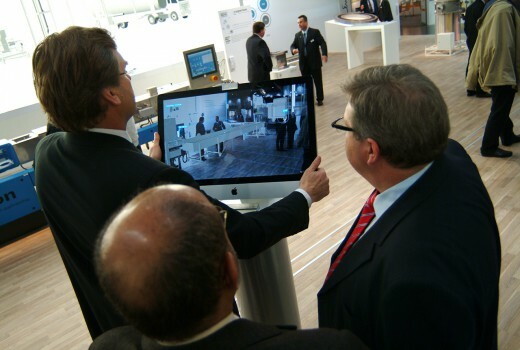 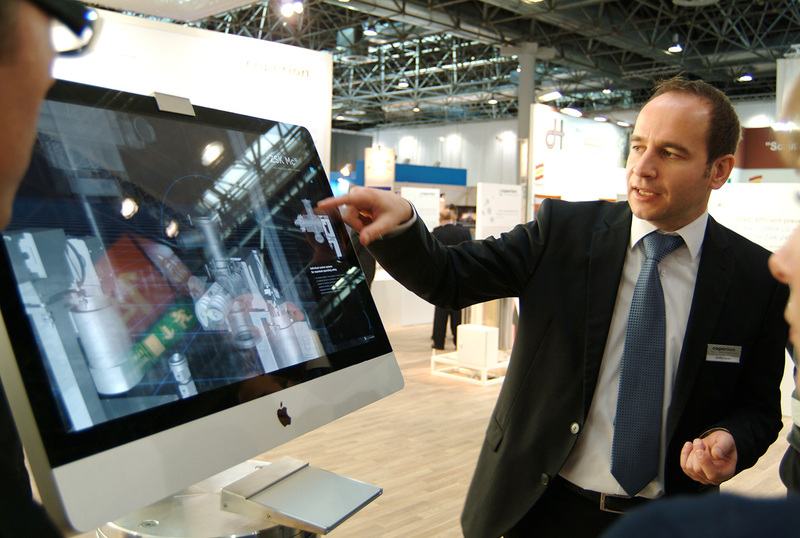 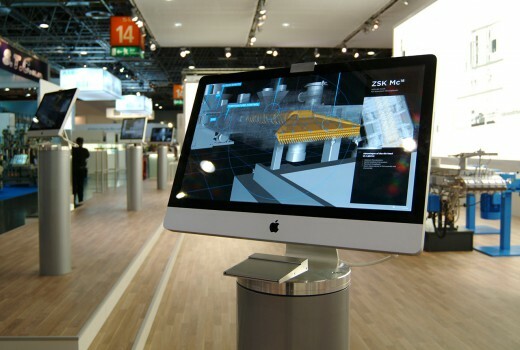 For the Coperion booth at trade show »K 2010« in Düsseldorf, we built an AR application. 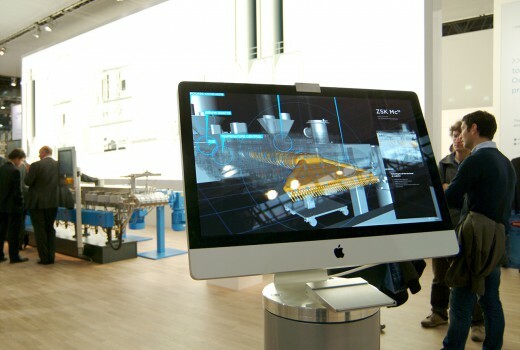 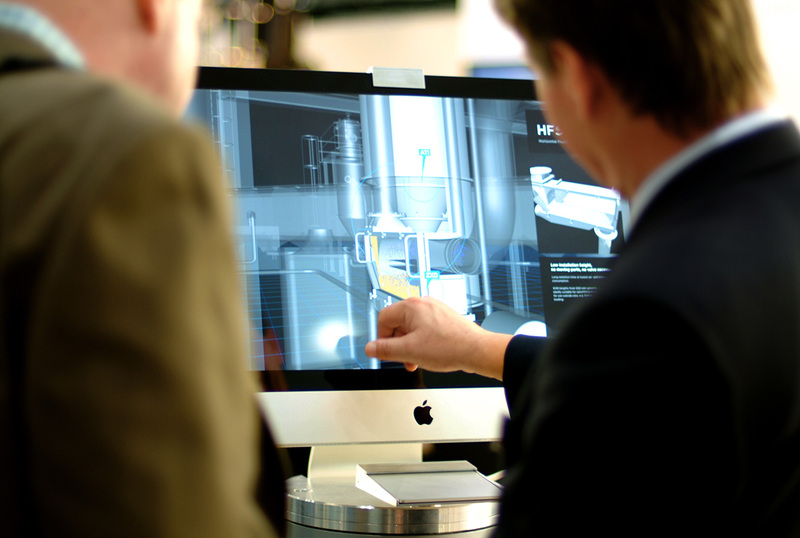 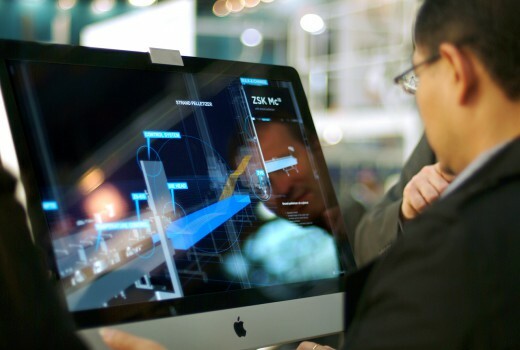 The application made it possible to see and experience a virtual plastics compounding plant in its actual size, using several monitors as windows to a virtual world. At the center of the virtual plant an animated extruder was placed. 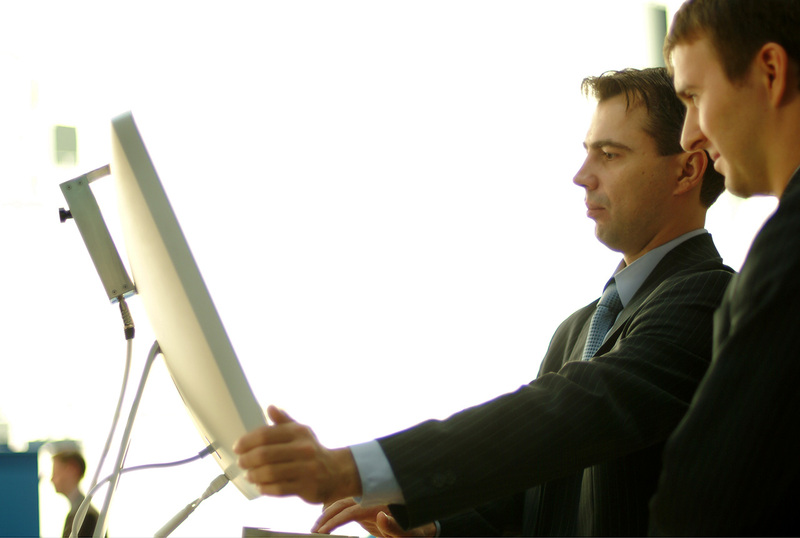 By rotating and tilting the screens, users were able to focus on different functionalities and details of the plant.